The most awaited and popular ROM from Xiaomi has released now. We have already discussed MIUI 8 Update, Features & Eligible devices. Finally, Xiaomi has managed to release the MIUI 8 Global Stable ROM for supported devices. The update is available for everyone since 25 August. A lot of users are getting this update over OTA & many users have already updated their MIUI to the latest version. 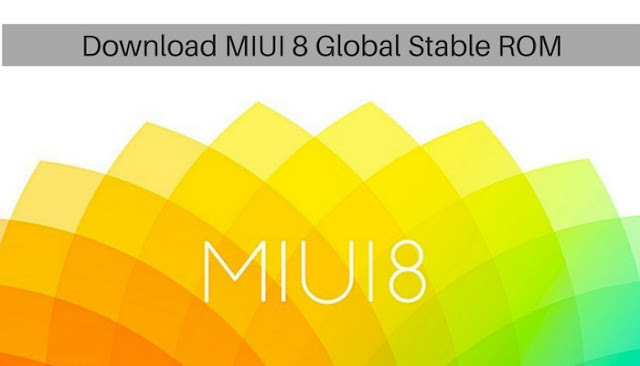 Download MIUI 8 Global Stable ROM for eligible devices from the below post. After Global Developer ROM, Global Beta ROM & China Developer ROM they have released this Stable Version. The ROM is built with hell awesome features & appearances of OS is very cool. Xiaomi has added some new features in this new build and also they have improved this ROM to user need. Most of the bugs are fixed & they are releasing daily or weekly based updates over via OTA. Everything in the ROM Works fine for eligible devices expect “Second Space” & “Dual apps” feature is not working on Redmi 1S, Redmi 2, Redmi Note 3G, Redmi Note 4G. It is due to Hardware limitations of the device. Dual Apps – create and sign into dual accounts for any app, including WhatsApp, Facebook and more. How To Use Xiaomi Mi Flash Tool? How to unlock bootloader on samsung devices?